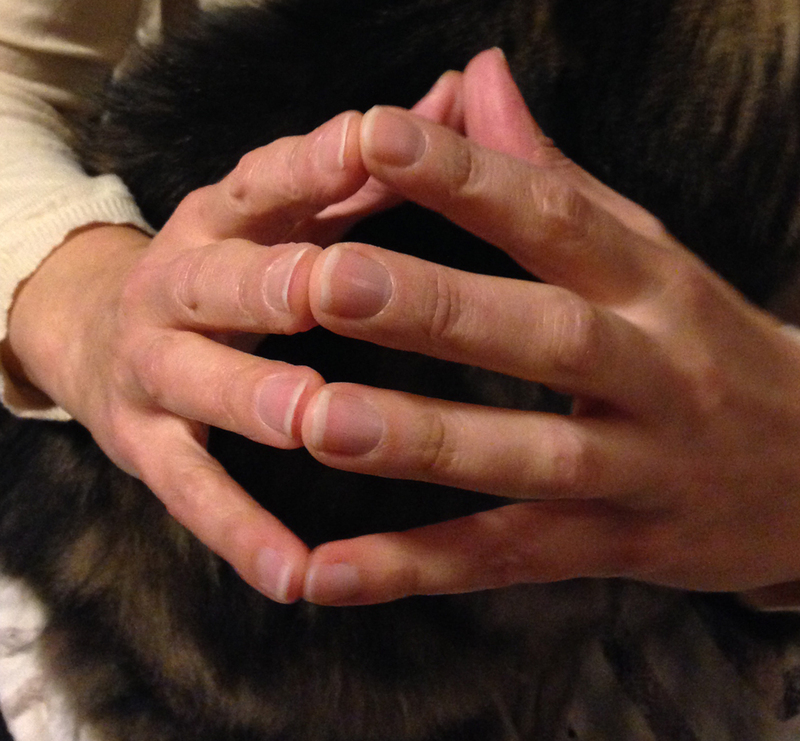 Press your fingertips together and ponder what you feel. If you are like me, you might, after a few moments, begin to search for a deeper meaning to the sensation you are experiencing. Where is the sensation? It’s in the place where the two fingers touch. Does that remind you of anything? Think about it for a few minutes and then come back to what I learned from doing this. The pressing of fingertips reminded me of sensation of interacting with another person, either with physical touch or with words. Two fingertips…that’s like two people, correct? It could just as well be a friend you are touching fingertips with. But here’s where it gets interesting, because your two fingertips are part of one thing: you. They aren’t really separate. And likewise, when you interact with another person, you aren’t really separate either. You are all part of one big organism of sorts, whether you call it the human race, or planet earth, or the universe. We are all one. 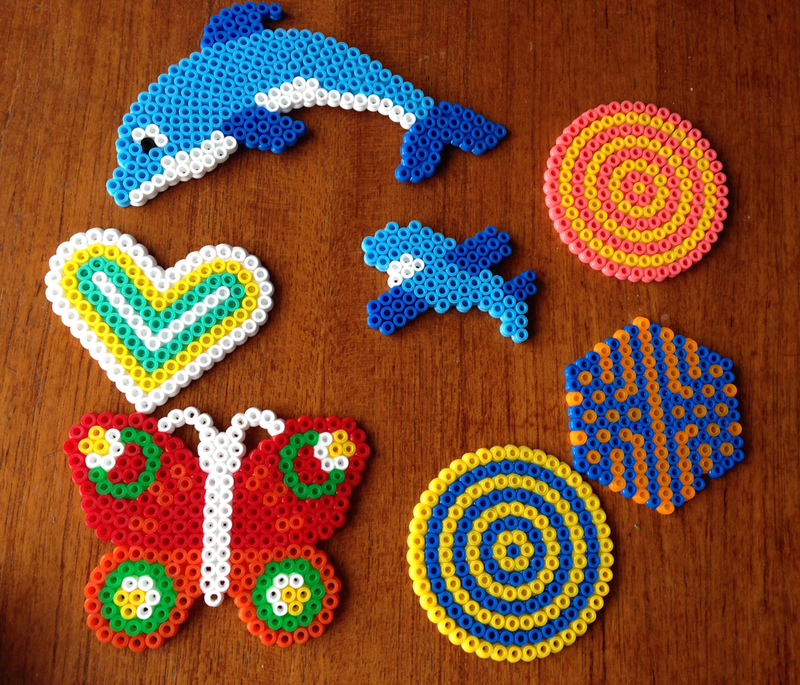 Fuse beads are an interesting medium for artwork. You place tiny beads on a pegboard in a design, then iron it to fuse the beads together so the individual beads melt together into one piece. Hama and Perler are two companies that make fuse beads. 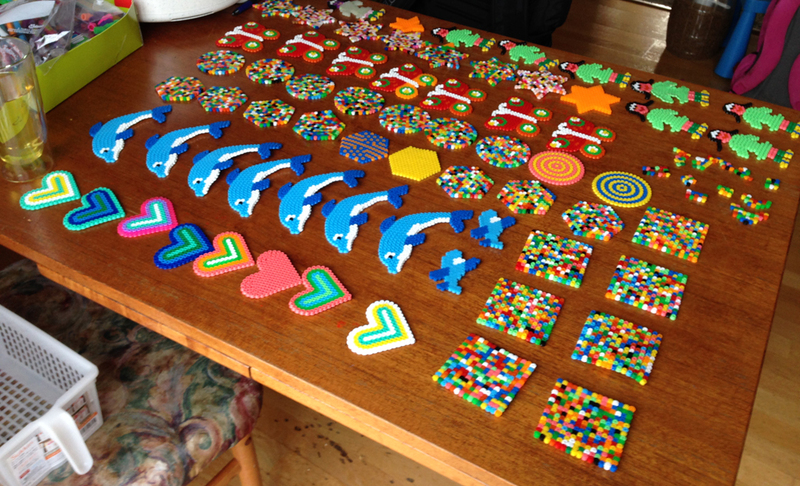 When I bought my child her first Hama bead kit, I never imagined she would have the patience to painstaking place so many tiny beads, or that she would eventually convince me to buy her a 16,000 bead bucket and that she would nearly use it up. Her care and perseverance with those tiny beads amazes me. She could one day, with enough motivation, time and supplies, be creating realistic artworks with fuse beads. Perler has a site where you can upload a photo and they send you a template, which you can put under a clear pegboard as a template for your image. Unfortunately in order to do this you need a clear pegboard, and their clear supersize pegboard is getting terrible reviews on Amazon. People say it is hard to iron something so large in an even way, so the board ends up warping. Which is really too bad. This medium has a lot of potential. Does anyone know of an iron that is at least 12×19”? Do you carve pumpkins around this time of year and throw away the seeds? Once you taste this recipe, you will likely be buying extra pumpkins and/or winter squash every year just to take advantage of the wonderful, yummerific and nutritious seeds they provide. Spread the seeds out on a baking dish and add the butter. Put the dish in the oven and cook for a few minutes, until the butter melts. Remove the pan from the oven, add the Worcestershire sauce and stir to coat the seeds. Cook for 45-60 minutes, stirring every 20 minutes or so. When done, the seeds should be browned but not burned, the sauce should be baked on, and the seeds should taste toasted.